Squaw Valley was home to the 1960 Winter Olympic. Squaw is located 42 miles east of the Reno/Tahoe International Airport along HWY 89, between the town of Truckee and Tahoe City. From the west, Squaw Valley is located 96 miles from Sacramento and 196 miles from San Francisco. In the last couple of years this 50's resort has transformed itself. Squaw Valley is a charming luxury resort located on Northwest side of Lake Tahoe with a 360 panoramic view of Tahoe. Skiing here you get two mountains for the price of one, Squaw Valley and Alpine Meadows. Squaw Valley Resort offers 3,600 skiable acres with an average snowfall of 450 inches of snow, in addition you can also ski Alpine Meadow’s 2,400 skiable acres. With miles of groomed trails, wide-open bowls, expansive areas for beginners, world-renowned steeps, and manicured terrain parks and pipes Squaw and Alpine Meadow’s terrain offers something for all levels. The Lake Tahoe region has the highest concentration of ski resorts in the United States. The combination of the Squaw and Alpine can't be beat in the Tahoe area. Imagine any type of skiing you have ever done or want to experience, and you will find it here! Trees, shouts, walls, night skiing, terrain parks (5)... it is all at these two resorts. The combined statistics of the one lift ticket for two resorts is an astonishing 6,000 skiable acres, with 270+ trails and with 23 bowls. The longest run is 3.2 miles and he combined average is 25% beginner, 43% intermediate and 32% advanced. (Alpine Meadows has a slightly larger amount of advance terrain). A little note on the resorts. If you are a destination skier, it is best to travel Sat-Sat. The peak ski day for the resort is Saturday, but Monday-Friday you almost have a run to yourself. Guest can choose to venture around the area and find Truckee and world-renowned Lake Tahoe or stay and enjoy Squaw Village. The Village at squaw offers entertainment for everyone from relaxing with a luxurious spa session, sipping on a micro brew to watching your kids play on the bungee trampolines. Squaw Village offers housing, restaurants, shopping and nightlife. If you are looking for more adventure each neighborhood around the area has its own distinct personality, from ski town to uptown. Old Historic Truckee invites guest to eat shop, and enjoy the ambiance. Visitors can go towards the west to explore Tahoe City with more shops and entertainment. The Tahoe area is surrounded by great views, restaurants and great people. 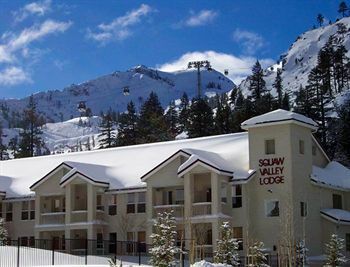 Squaw Valley has a number of lodging opportunities both in the "valley" and a short drive from the resort. For those that wanting the convenience of ski in/ski out or slope-side (a very short walk), Squaw Valley offers several options. 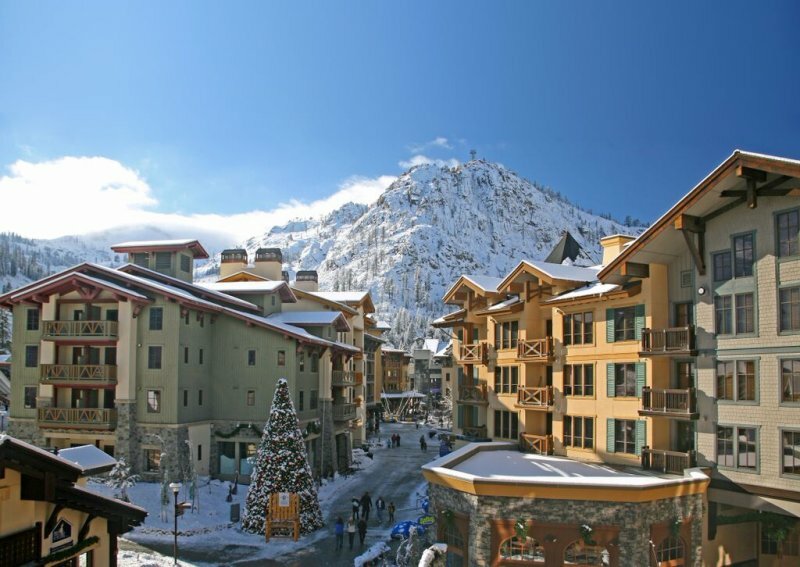 In the heart of Squaw is the modern Squaw Valley Village featuring standard hotel units up to two-bedroom suites. These units are directly across the street from the Aerial Tram, Red Dog, Gold Coast Funitel and other lifts. Slightly more adjacent to these lifts and attached to the base area is the Squaw Valley Lodge offering true ski in/ski out. Further away but having a lift (Squaw Creek) to itself is the ski in/ski out Resort at Squaw Creek featuring hotel and suite accommodations. If you do not mind a short drive, Tahoe City which is on Lake Tahoe is about 10 minutes away, Truckee is about 20 minutes, and Reno is about 40 minutes away. Here you will find hotel accommodations. It is best to call our reservation department to discuss your needs.